More than 47 million people worldwide suffer from some form of long-term dementia. This chronic, progressive disease symptom alters the victim’s perception of reality, causes behavior changes, and significantly impairs logical reasoning and memory. With the number of those who suffer from some form of dementia growing by 9.9 million each year, the chances of you facing it in your own life at some point — either from someone you love or yourself — learning how to manage the symptoms and challenges will benefit you and your family. 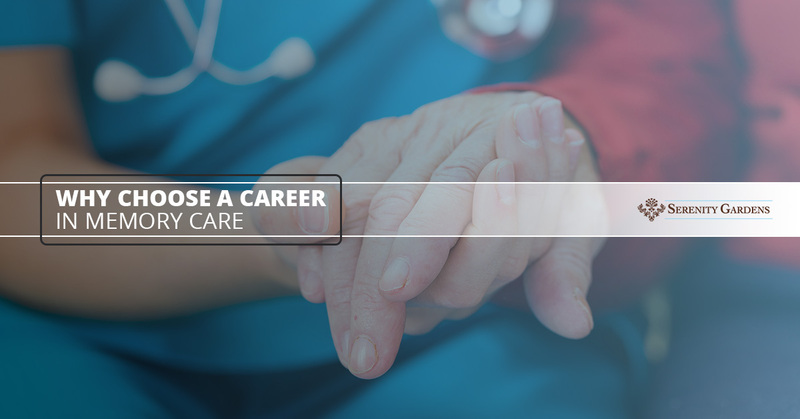 If you have been searching for the perfect career for you, here are a few reasons you should consider one in memory care assistance. Of course, the ideal scenario is to care for your aging and ailing loved ones and be taken care of by your family should you require the care. However, many family members of those who suffer from dementia often feel at a loss because memory care is not as straightforward as helping physically, emotionally, or financially. Each hour can be dramatically different in a dementia patient and understanding those changes and knowing how to react can be critical to their safety. When you work with dementia patients, you will be better prepared to help care for your loved ones, should the time come. You can think of your job as practical life training or as paying it forward. Many people are familiar with the medical professionals who care for dementia patients and help to manage their symptoms, however, there are many different disciplines that contribute to the quality care of a dementia patient. For instance, activity director, nutritionist, therapists — physical, occupational, speech, and art —companions, and researchers. It really takes an entire multidisciplinary team to plan and execute a successful care plan for the patient with memory impairment. If you are interested in the field of public health, anything medical, or helping community members, a career in memory care may be for you. As the medical field continues to advance and our global population continues to age, the number of people who suffer from memory impairment disorders will continue to dramatically rise. As an emerging discipline, gerontology with an emphasis on memory care will have to expand to keep up with demands. As a top priority public health concern, there will be plenty of funds saturating the field, creating opportunities for a multitude of jobs, for the candidate with the right credentials! If you are interested in beginning or expanding your career in memory care, Serenity Gardens in Texas has several openings including companion, home health aide, certified nursing assistant, licensed practical nurse, and registered nurse. Apply online or contact us for more information today! If you are interested in volunteering your time to helping those with dementia, we also have plenty of volunteer opportunities available, get started helping members of your Dickinson or Friendswood communities today! We are passionate about helping our patients and their families by providing them with a safe, comfortable home. Our memory care assisted living facilities are owned and operated by a quality, caring, compassionate group, and we would love to have you on our team!